The computer card is a PCI or ISA card that connects your computer to the controller mainboard. Warning: Make sure to match the correct card with the corresponding mainboard. Mixing the computer card with the wrong mainboard may cause damage to the electronics, the computer card, and/or your computer. 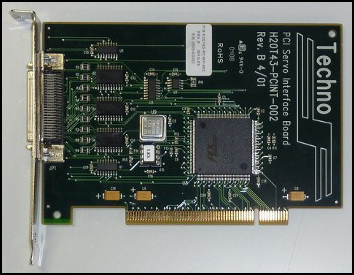 The PCI400 Card pinout is available. 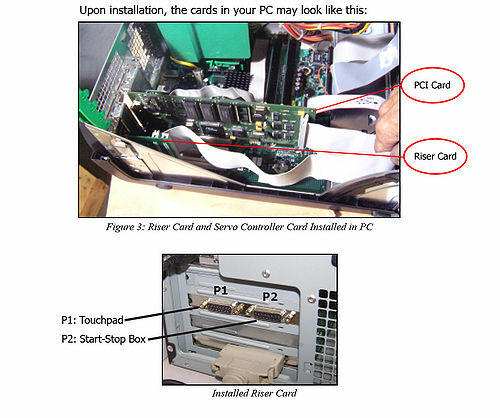 The PCI Riser Card provides additional connectivity for Touchpads, Coolant system, Spindle and Start/Stop box. For normal 3-axis operation, the Touchpad is usually connected to the Encoder-4 terminal on the Controller mainboard. In the event that the 4th-axis encoder connector is occupied, installing the riser card will allow the use of a touchpad. The Riser Card pinouts are also available. 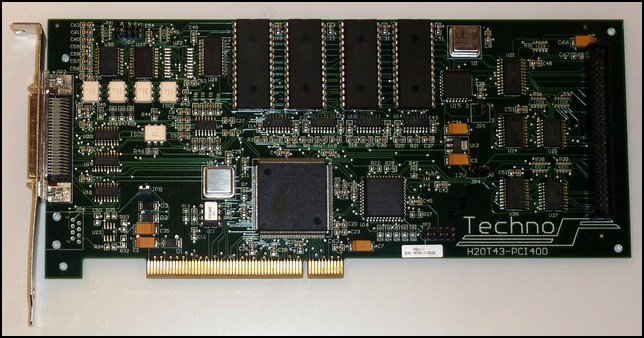 The ISA card is very old technology, and no longer supported. 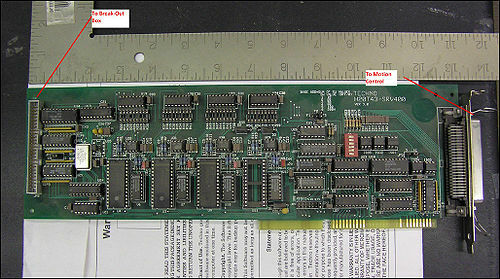 ISA cards require an ISA slot on the PC motherboard, something most PC's made in this century do not have. Fortunately, you can easily upgrade from the ISA to the PCI card. An Upgrade kit with the required cards and cables is available (p/n H20T43-PCI403UP). This kit is particularly helpful when a new(er) PC is being installed into a CNC system currently employing ISA technology.